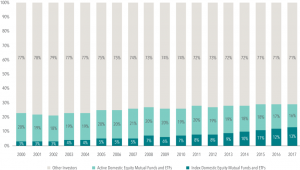 While the popularity of indexing has been increasing over time, index fund investors still make up a relatively small percentage of overall investors. 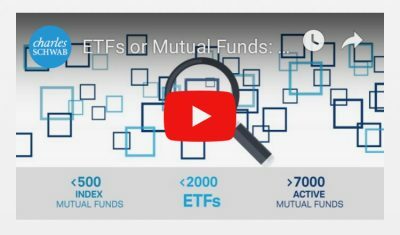 For example, data from the Investment Company Institute shows that as of December 2017, 35% of total net assets in US mutual funds and ETFs were held by index funds, compared to 15% in December of 2007. Nevertheless, the majority of total fund assets (65%) were still managed by active mutual funds in 2017. As a percentage of total market value, index-based mutual funds and ETFs also remain relatively small. 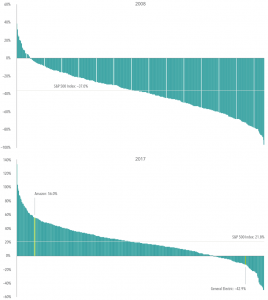 As shown in Exhibit 1, domestic index mutual funds and ETFs comprised only 13% of total US stock market capitalization in 2017. 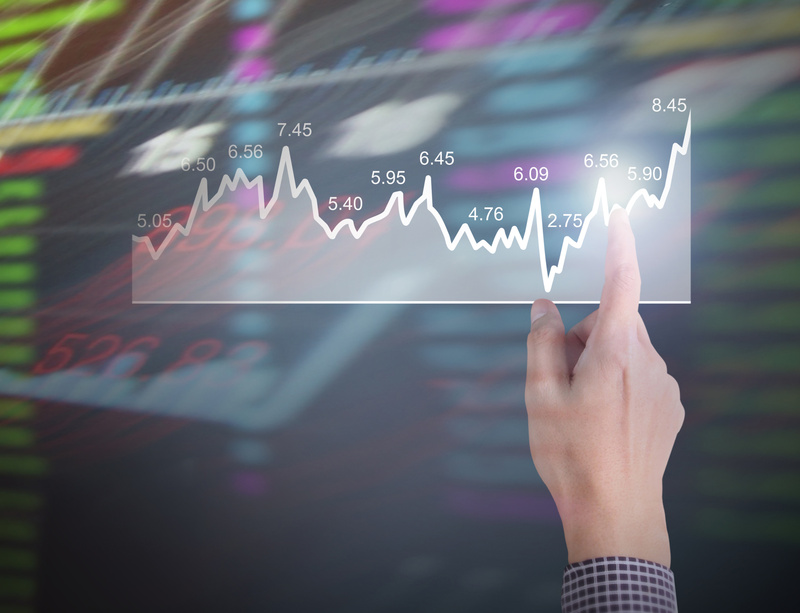 Besides secondary market trading, there are also other paths to price discovery through which new information can get incorporated into market prices. For example, companies themselves can impact prices by issuing stock and repurchasing shares. 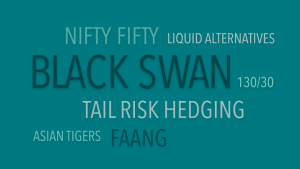 In 2018 alone, there were 1,633 initial public offerings, 3,492 seasoned equity offerings, and 4,148 buybacks around the world.3 The derivatives markets also help incorporate new information into market prices as the prices of those financial instruments are linked to the prices of underlying equities and bonds. On an average day in 2018, market participants traded over 1.5 million options contracts and $225 billion worth of equity futures. 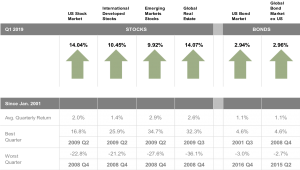 Equity mutual fund outperformance percentages are shown for the three-year periods ending December 31 of each year, 2004–2018. Each sample includes equity funds available at the beginning of the three-year period. Outperformers are funds with return observations for every month of the three-year period whose cumulative net return over the period exceeded that of their respective Morningstar category index as of the start of the period. Past performance is no guarantee of future results. 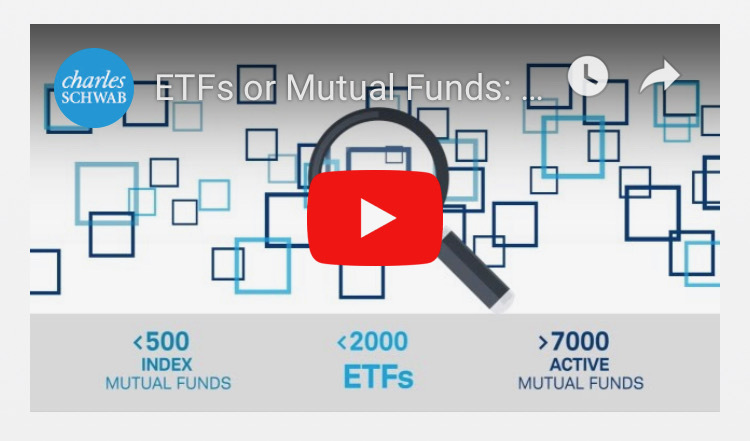 Our partners at Charles Schwab produced this short video to help explain the difference between Exchange Traded Funds (ETF’s) and Mutual Funds. 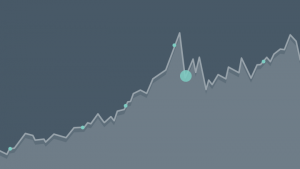 It’s common amongst investors to have little understanding of the difference between the two. There are times when it makes sense to choose one over the other. Timing, taxes and expenses are all factors. Schwab now has over 2000 ETF’s and Mutual Funds that can be purchased with no commission or transaction cost. 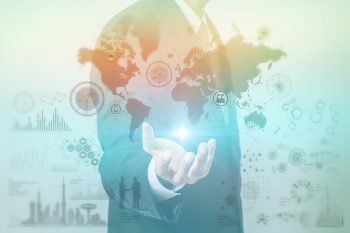 We help our clients navigate this broad universe of investment options, to build low cost portfolios designed to meet the client’s future goals. We can help you sift through the details when it comes time to invest your money. Click on PLAY above to check out this SHORT, 3 minute clip, and call us if need help with your investment plan! Self Employed? Set up a SEP and SAVE on Taxes before April! Self-employed workers have an option for significant retirement savings that is UNDER-UTILIZED, yet so extremely simple. Experts estimate that Americans will need 70 to 90 percent of their preretirement income to maintain their current standard of living when they stop working. It’s crucial for the Self-employed to understand the opportunities in a Simplified Employee Pension (SEP) Plan. A Simplified Employee Pension Plan (SEP IRA) is the easiest small business retirement plan to administer and maintain, and helps individuals and business owners get access to a significant tax deferred benefit when saving for retirement. A self-employed worker can defer up to 25% of their taxable income to a maximum of $56,000 per year. In comparison, a traditional IRA has a maximum of $6,000 annually. If you’re self-employed, you work 24/7 and you save annually for a hefty tax bill in April. Neglecting to maximize retirement savings potential can be devastating now and in the future. The immediate impact of deferring a large amount of income to a SEP is a significant reduction in your tax liability. Long-term, you will be able to design your retirement experience without worry of outliving your money. It’s not too late for 2018! You can open a SEP and fund it for 2018 up until the tax deadline! Before making any long-term decisions about your retirement strategy, you should understand the ins and outs of a SEP IRA. If you have an employee, you must fund your employees SEP at the same rate as your own. If you’re interested saving on your 2018 tax bill, contact us about opening a SEP IRA today before the TAX DEADLINE. 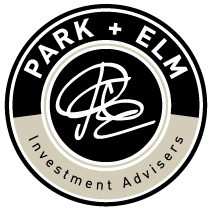 Email Kevin at kward@park-elm.com and request a free Business Owner’s Guide for Retirement and an introductory financial analysis. 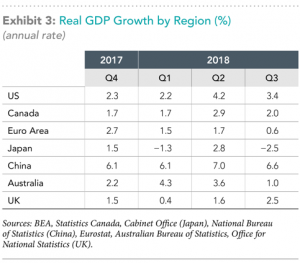 –7.5% for the fourth quarter. US small cap stocks, as measured by the Russell 2000 Index, returned –11.0% for the year. 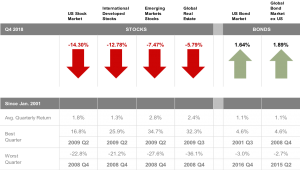 While markets around the world generally had negative returns in the fourth quarter, the dispersion in their returns highlights the importance of global diversification during market declines. 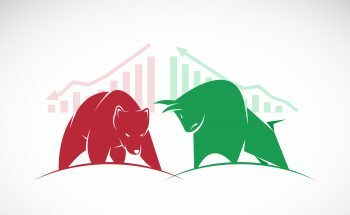 The MSCI All Country World ex USA Index (IMI) outpaced the S&P 500 for the quarter (–11.9% vs. –13.5%). 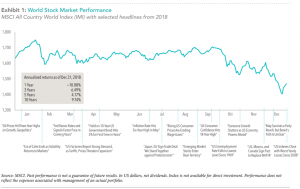 Given the strong returns of US markets through September, however, the US equity market was one of the stronger performing markets for the year, ranking seventh out of the 47 countries in the MSCI All Country World Index (IMI). Contribute to a 529 before December 31st! 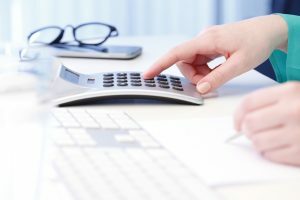 The projected costs for college can be very intimidating…but there are ways to prepare for it. Just knowing the possible sticker price gives you the power to prepare! Without preparation, your retirement plan could be significantly impacted. If you have a future student, YOU MUST START PLANNING NOW! THE DEADLINE TO CONTRIBUTE TO A 529 FOR A 2018 TAX CREDIT IS FAST APPROACHING! To help reduce the expected costs of funding future college expenses, parents can invest in assets that are expected to grow their savings at a rate of return that outpaces inflation. By doing this, college expenses may ultimately be funded with fewer dollars saved. Because these higher rates of return come with the risk of capital loss, this approach should make use of a robust risk management framework. With a tax-deferred savings vehicle, such as a 529 plan, parents will not pay taxes on the growth of their savings, which can help lower the cost of funding future college expenses. While there are stipulations as to how the money is spent, many states will give you a tax credit for investing in a 529. Indiana, for instance, offers a 20% tax credit on your deposits up to $5,000. That is a potential for a $1000 credit on your state taxes…an immediate 20% return. Est. Total Amount Paid For College if Family invests $5,000/Year from birth to Age 18 = $90,000 of Savings + $100,000 of Projected Investment Growth. That is a total of $90,000 Out Of Pocket. Est. Total Amount Paid if Family saves nothing and finances the total amount = $190,000 Borrowed + $46,000 in Interest. That is a total of $236,000 out of pocket. If your goal is to fund college for your child, a price tag difference of $146,000 (not including tax credits you can capture along the way) can derail your retirement plans. $146,000 invested over 10 years at 7% is nearly $300,000. Just as with your retirement portfolio, it’s important to work with a trusted advisor when saving for college expenses. A professional who has a transparent, diversified approach based on sound investment principles, consistency, and trust can help investors identify an appropriate risk management strategy. When saving for college, risk management assets (e.g., bonds) can help reduce the uncertainty of the level of college expenses a portfolio can support by enrollment time. 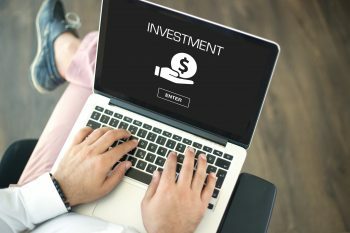 These types of investments can help one tune out short‑term noise and bring more clarity to the overall investment process. As kids get closer to college age, the right balance of assets is likely to shift from high expected return growth assets to risk management assets. 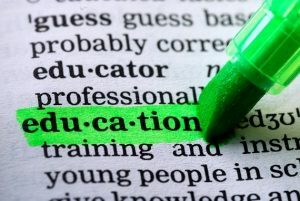 Higher education may come with a high and increasing price tag, so it makes sense to plan well in advance. There are many unknowns involved in education planning, and no “one-size-fits-all” approach can solve the problem. By having a disciplined approach toward saving and investing, however, parents can remove some of the uncertainty from the process. A trusted advisor can help parents craft a plan to address their family’s higher education goals. The deadline for a 529 tax credit is DECEMBER 31st. If you need help with this goal, contact our firm and we can guide you to the right plan.